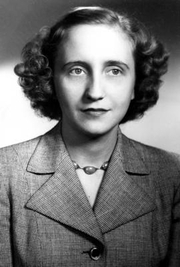 Margaret Truman, Murder at the Library of Congress. Margaret Truman was the daughter of President Harry S Truman and his wife Bess Truman. She graduated from George Washington University with a B.A. in history. She took vocal lessons and performed as a singer on stage, radio, and television until the mid-1950s. In 1956, she married Clifton Daniel, a reporter and then editor of The New York Times, with whom she had four sons. She wrote a number of works on U.S. First Ladies and First Families, including a biography of her father (1973). Later she was the author of a successful series of murder mysteries published from 1980 to 2011. Margaret Truman is currently considered a "single author." If one or more works are by a distinct, homonymous authors, go ahead and split the author. Margaret Truman is composed of 7 names. You can examine and separate out names.